Is it a tent? A hammock? A chair? It was inspired by nature. 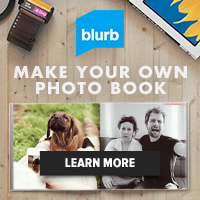 See the image at the top of the page. This shows the nests of the weaver birds – don’t they look cosy? That’s what Nick McDonald thought when he saw them in Mexico. But why shouldn’t we have them too? Nick used to be a competing sailor so designed the Cacoon using sturdy, waterproof marine materials. 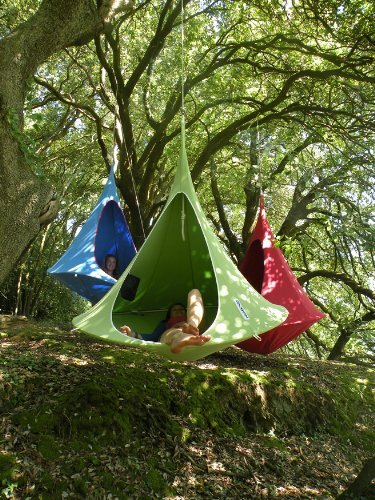 You can hang your Cacoon from a tree in the countryside, from a beam on your patio or in your home. They are great for kids and fabulous for the dorm room. What’s great too is that although they can hold up to 400 pounds in weight Cacoons weigh only fourteen pounds themselves so are easy to transport if you’re going to spend a day by the ocean or in the woods. And because they are waterproof, you can leave them out if the rain comes – there’s no need to dash out to remove them from your patio. The materials used are specifically chosen to dry quickly when the sun comes out again. See that? Can you imagine how wonderful it could be to chill in your own private space at your favourite waterside location? 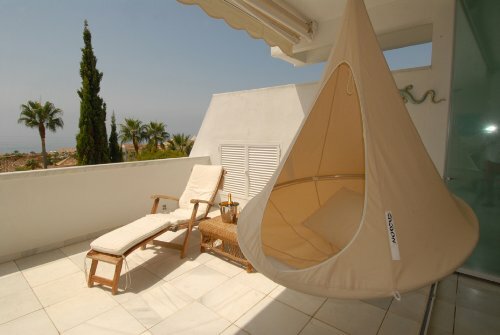 Take the Cacoon to the beach or to the lake – so peaceful and relaxing. If there’s a gentle breeze, you might be rocked to sleep. Here you see the Cacoon on a patio. It’s perfect for when you want to be shaded from the sun. Can you imagine taking your laptop or iPad in there when its time to work? Now that’s surely the best home office I can think of. I adore these chairs they look so elegant – I love the ones in the woods! I love these hanging chairs! I imagine kids, and even cats, would enjoy hiding in the cocoon too.